It is hardly not to notice that the new iPhone 6s has a new feature, which has been announced last week on September 9th by Apple. 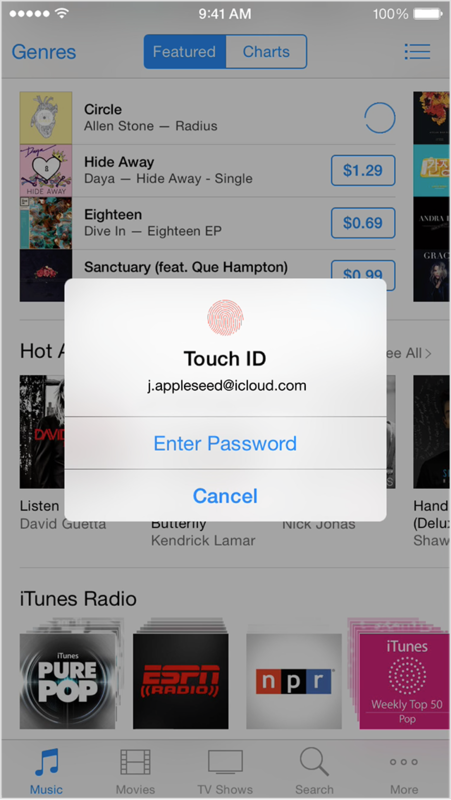 The iPhone 6s has been featured with 3D Touch. Every iPhone has some improvements comparing to his predecessor. Siri was announced to be more helpful for iPhone users. The Touch ID was supposed to make the mobile phone more secure. And now the 3D Touch has to optimize the users experience. The popularity of iPhones shows that users are willing to change their mobile use in order to optimize their own interaction with the iPhone. The 3D Touch improves the interaction between human and machine and will optimize the cybernetic system. In the beginning era of the iPhone, people were satisfied with a modern phone where all the original buttons of a phone were swallowed by a modern touch screen, a 2D screen. The iPhone was, and still is, a device with remediated devices in it. “We call the representation of one medium in another “remediation”” (Bolter and Grusin 339). Which were particular visible in the appearance of applications. But now it looks like people want it to be more and more intertwined with their uses and habits in the ‘real’ world. It is not only that people want to get the real in to the technology, but it also the other way around. People are getting spoiled. Kids are trying to zoom in on an actual photo in a newspaper while spreading their two fingers. And even though a lot of people were already able to be online 24/7, everything has to go faster to stay up-to-date. The only way to stay up-to-date is by using advanced technology. That is exactly what Apple is doing. This new feature improves – again – our lives. The human and the machines are becoming closer to each other. The iPhone gets what the user is trying to do. This is a form of a cybernetic system. Technology has become integrated in people their social life, and Apple plays a big part in it. In this case with their advanced 3D Touch. 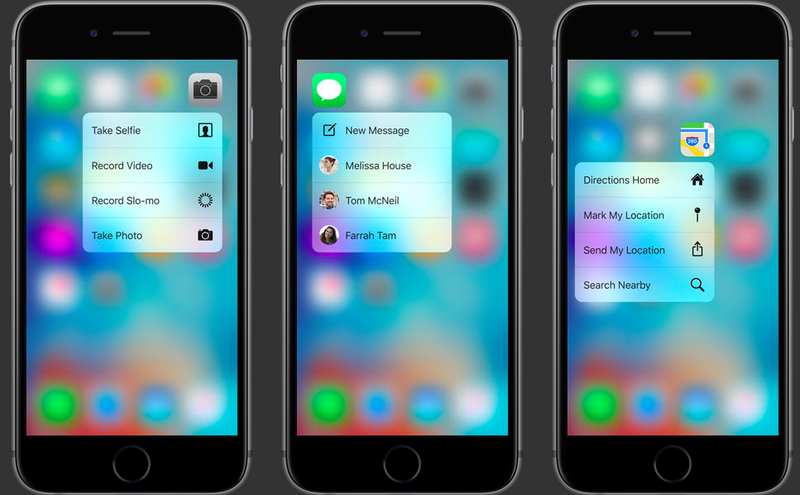 How does 3D Touch work? The new screen is more sensitive than the ones before. The 3D Touch screen can measure the force of the users finger. By measuring, the iPhone 6s will now know how it should pop-up and what has to pop-up. 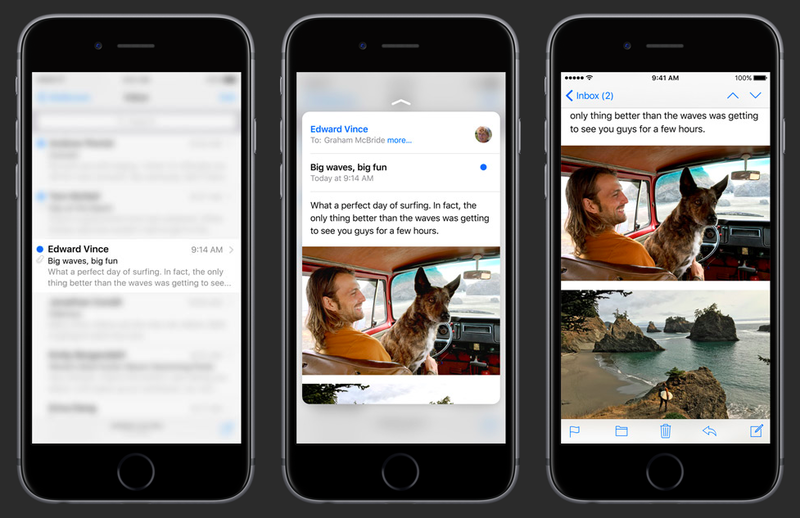 With the 3D Touch it is possible to light up an email for example. All the focus goes to one single email at that particular moment. The 3D Touch is also working with feedback. It remembers what the user is frequently using. Those items will be classified as favourite and will pop-up first in combination with particular force proceedings, the so called Quick Action. These characteristics of the cybernetic system will change the way we interact with our iPhone. It leads to a much more efficient way of using the iPhone and his content, as you can see in the demo video of the iPhone 6s (Apple). In case of a cybernetic system there is always an input and an output. The system will make sure that the output will be the same, like a thermostat. But it could be also optimize itself by getting feedback. An important element that comes with feedback is “the property of being able to adjust future conduct by past performance” (Wiener 33). This is what happens with the 3D Touch. Every time the user choose on option or press with a certain force, it can be seen as an input. The more the user uses the 3D Touch, the more it will be personalized. In this case is the technology behind the optimization, the feedback provider. And the personalization can be seen as output. The cybernetic system leads to a functional interaction between human and the machine. The machine is getting more in line with the users wishes. Eventually the human and the machine will become even more intertwined with each other and the iPhone will become an even bigger “extension” of the human body (McLuhan 203). “Information technology on the other hand extends the brain, the mental capacities, the mind itself, making the extension so much more potent. We become one with our iPhones, we talk to them. There is nothing unnatural about this, indeed I would call an iPhone much more appropriate for a human than a rock or an axe” (Serning). Even though we probably have to get used to the 3D Touch. It will eventually improve our lives. For this reason we may welcome the advanced technology of the 3D Touch. Apple. 2015. Apple Inc. 12 September 2015. <http://www.apple.com>. Bolter, David J. and Richard Grusin. “Remediation.” Configurations 4.3 (1996): 311-358. McLuhan, Marshall. “The Medium is the Message.” The New Media Reader. Eds. Noah Wardrip-Fruin and Nick Monfort. Cambridge, MA: MIT Press, 2003. 203-209. Serning, Niklas. “Towards the cybernetic mind.” Existential Analysis 23.1 (2012). Wiener, Norbert. “Progress and Entrory.” Progress and Entropy in The Human Use of Human Beings Cybernetics. New York: Houghton Mifflin (1954). 28-47.